The world had started noticing it some time back, but when a Chinese e-commerce company created the world’s biggest Initial Public Offering (IPO) valued at USD 25 billion in September 2014, it was really an event for everyone to take further notice. Jack Ma, the company’s billionaire founder, started the company in 1999 as the founder of the website Alibaba.com in his apartment in China. The website was initially created as a B2B platform with the objective of connecting Chinese manufacturers with overseas buyers. Today, the company’s consumer-to-consumer trading portal, Taobao, features close to a billion products. By connecting millions of buyers and sellers worldwide, it helps small businesses find manufacturers, exporters and wholesalers with their sourcing needs. The company has become synonymous with e-commerce in China and the group of websites that it owns and operates, accounts for more than 56% of the USD 198 billion online retail market in China in 2016. Jack Ma thought of the company’s name while sitting in a café in San Francisco. As part of his short and focused market research project to get the attractiveness of the name validated, he asked one of the waitresses in the café on whether she was aware of the name and what it meant for her. The waitress said yes and said that the name meant “Open Sesame”. The moment she said this, Jack Ma decided on the name for his company. Trudy Dai, one of Jack’s friends and the company’s earliest employees, reportedly sent hundreds of emails every night answering queries from American customers without letting them know that she was Chinese, earning a paltry sum USD 6 per month. But the founder’s ambition didn’t stop there and it is because of this ambition that Alibaba is the behemoth it is today. Alibaba is the world’s largest e-commerce company, boasting 454 million active buyers using its websites, who place 57 million orders a day, translating to revenues of USD 5.6 billion in Q1 2017 alone – a 60% year-on-year increase. Even before the record breaking IPO was launched, many analysts had already started sounding the death-knell for Alibaba in terms of growing its business in the US. But, in spite of all negative publicity and outlook, the company’s founder went through with the IPO, which was more than a year in planning. The attractiveness and potential of the company’s business model was never in doubt. In the first two years of its birth, it was successful in raising USD 25 million in funding from SoftBank, investment bank Goldman Sachs and a host of institutional investors. The company’s vision, as outlined on its website, clearly centers around the power and potential of the Internet as a medium for trade and business. The exact wording reads “from the outset, the company’s founders shared a belief that the Internet would level the playing field by enabling small enterprises to leverage innovation and technology to grow and compete more effectively in the domestic and global economies”. Right from the very beginning to now, it has done just that by providing the Internet platform for facilitating trade between small and medium sized traders across the world. Jack Ma’s vision for the company has constantly evolved and kept pace with the technological changes and innovations happening in the online space. Not only does it provide a platform for trade, but also its own online payment system called Alipay, which now controls more than half of China’s online payments market. In addition to Alipay, the Alibaba group now has a portfolio of internet-based businesses targeted towards specific segments and niche areas of online commerce. Some of the companies include Taobao marketplace (B2C marketplace), Tmall.com (online retail platform), Juhuasuan (group shopping website offering “flash sale” items), eTao (comparison shopping website), AliExpress (online retail service for small sellers), AliCloud (cloud computing service provider) and 1688.com (B2B trade in China). In China, young single Chinese celebrate the loosely defined 11/11 holiday for its four “1s”, the number representing their single status. It has emerged as a nation-wide shopping spree attracting enormous e-commerce transaction volumes. In 2016, Alibaba’s Single’s Day transaction was USD 17.8 billion, an increase of 32% compared to 2015 (USD 14.3 billion). The company can achieve the same amount of transactions in an hour today, compared to what it achieved in a day back in 2013. This illustrates how quickly e-commerce is changing the retail industry in China. As mentioned earlier, Jack Ma founded the company in 1999, leading 18 other individuals who were investors and also the company’s first employees. But Ma always had an entrepreneurial instinct and had founded multiple companies before, one of which was a translation company and the other called China Pages, which allowed Chinese companies to scour for customers globally. Four years after China Pages turned out to be a failure, Ma founded Alibaba. The success of the company, though attributed to Ma’s hard work and vision, is also equally driven by Ma’s distinct personality and also by his captivating speaking style and ability to engage and drive employees. Within 2 years of birth, the company achieved profitability. In 2003, Taobao, the world’s biggest consumer trading platform was founded. On its 10th anniversary, the company made its foray into the next generation of computing services with the launch of Alibaba Cloud Computing. The success of the company and its meteoric rise as the world’s biggest e-commerce marketplace is attributed to Jack Ma’s management and operating style. He speaks fluent English, which has worked towards the advantage of communicating clearly to the Western media. He also has a dose of eccentricity, which includes turning up at a company rally wearing a nose ring, dark lipstick and a blond wig. In short, Jack Ma is Alibaba’s brand creator, curator, artist and communicator. Jack Ma calls Alibaba the “everything company”. His strategy, right from the very beginning, has been to make a company so diversified that a customer won’t have to go anywhere else. In a difficult market marred by global recession, fears of a slowing Chinese economy, fleeting customers and competitors with deep pockets, Alibaba has been able to grow continuously and expand with the help of strategic partnerships, mergers and acquisitions and unrelenting leadership from its founder to build a company that truly serves customers. The company’s philosophy is customers first, employees second and shareholders third. This philosophy is reiterated and reemphasized by Mr. Ma in most company meetings and public appearances and is followed with an unwavering focus. The brand philosophy is closely tied to this company philosophy. All its branded digital offerings in the market, which are essentially its family of websites and portals, have one thing in common. This is the strong positioning towards a specific customer segment (be it broad or niche). For example, the corporate website Alibaba.com is targeted towards international importers and exporters. Taobao Marketplace is targeted towards the massive consumer-to-consumer segment while Tmall.com is an online retail platform targeted towards manufacturers. The philosophy is also driven by a constant source of evolution of the capabilities and innovation in its offerings. This is the hallmark of any successful brand with multiple digital properties. The concept of a “one-stop shop” is strongly integrated in Alibaba’s business model. From its inception in Jack Ma’s apartment in 1999 to its current stature as an e-commerce behemoth, the need to diversify into a conglomerate has been Alibaba’s driving force. Going forward, even with its intention to become a global player, diversification is still an essential component of the brand philosophy. The global ambition is also supported by a strong sense of humility and dedication to wealth sharing that permeates through the organization, including the charismatic founder and the employees. After the US markets closed after the first day of the company’s IPO, Jack Ma hosted a company reception and re-emphasized the company’s values and philosophy: Customer First, Teamwork, Embrace Change, Integrity, Passion and Commitment. Master brand and product family brand architecture: Alibaba, the master brand lends its equity, promise and philosophy to all the product family brands. Examples of product family brands in the portfolio are Alipay (third party online payment platform), AliExpress (online retail service), Alibaba Cloud Computing otherwise known as AliCloud (cloud computing service platform) and AliWang (the company’s own instant messaging service). Product brand architecture: The product brand portfolio has been created to communicate a distinct value proposition to customers. Product brands have long-term strategic importance and have substantial marketing investments driving them. The most important product brand in the portfolio is Taobao Marketplace, China’s answer to eBay. Other product brands include Tmall.com (online retail platform), Juhuasuan (group shopping website), eTao (comparison shopping website) and 11 Main (US shopping website launched in 2014). 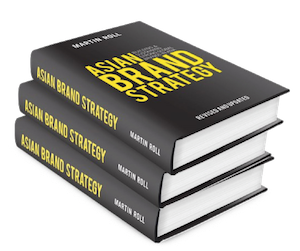 The group strategy has a strong underpinning in driving the equity and simplicity of the Alibaba brand name across product family brands. This serves the dual purpose of extending the equity of the Alibaba brand name across the group offerings and also follows the strategy of diversification. In 2014, this strategy was further extended by the launch of Alimama, the Google AdSense like contextual advertising program of Alibaba and Alibaba Pictures, a film and TV production company. The product brands that have operated independently within Alibaba’s portfolio have been its biggest drivers of success. The case in point is the success of the Taobao Marketplace. The digital property has its own mascot, an ant. Founder Ma, introduced the platform to the world by stating that “we are the ant army”. The word “Taobao” stands for “search for treasure” in Chinese, which is exemplified by the fact that the website has more than 1 billion product listings as at June 2016 and was the one of the world’s top 10 most visited websites. Use master brand equity to diversify: The equity of Alibaba as a brand name and the fact that it has a simple meaning and can be easily pronounced by anyone gives it a global appeal. This tenet is being used to expand the name into associated services and products, which are essential for the company’s success at a global level. Strengthen appeal of product brands at a local level: Alibaba does not believe in attaching the prefix “Ali” to every product or service it launches. Jack Ma has been known to say that the success of the company has been due to an “Act Local, Think Global” strategy. Everyone has written reams about the success of TaoBao in China. But for its US growth strategy, it launched the US focused shopping website 11 Main in 2014, instead of extending the TaoBao brand name. 11 Main provides a platform for US based specialty goods manufacturers to sell their products and make them visible in front of the American consumer. These are the two defining aspects of the overall brand strategy followed by Alibaba in its significant growth phase. The group faces multiple challenges as it looks towards expanding beyond China. Now these challenges are all not restricted to global markets, but are also emerging in the increasingly competitive landscape in China, which has been Alibaba’s growth driver. Handling the Made-in-China challenge: Country of origin is very important, and brands that globalize often forget about the importance of the roots and culture. Global perceptions of brands are related to the country of origin. Made in China will eventually will become globally accepted and a positive trait for Chinese brands, but till that happens on a broader global level, Alibaba needs to work hard to overcome any negative or skeptical perceptions related to the Chinese country of origin. Alibaba has to commit itself to excellent quality, reliability, transparency, and provide good governance in all aspects of operations and business. Genuineness of products sold on platform: This has been one of the most persistent problems that have impacted Alibaba’s equity with the outside world. China, which had a dubious past of being the hotbed of fake products with fake brand names, is still in the process of shrugging off this image. But Alibaba’s Taobao platforms (for B2C trade) and other specific platforms for B2B trade, have been plagued by fake product listings, dubious suppliers and a sustained perception that it has never done enough to increase the level of trust the outside world can place on Chinese suppliers. This perception needs to be changed rapidly as the company expands globally. If this challenge does not receive the attention it deserves, then the global business community who are interested to conduct business with China based suppliers, will never give the portals the seriousness they need to become a global shopping destination. Alibaba has maintained that it takes down listings selling spurious or fake goods with regularity, but the problem and its associated negative perception has not gone away. Lack of brand awareness outside China: Outside China, Alibaba and its portfolio of digital properties have very little or zero awareness. Though it was able to beat eBay in China, it does not have the global awareness and equity enjoyed by the likes of eBay and Amazon. This is going to be a significant challenge for Alibaba to overcome as it looks into expanding into global markets. The fact that it is using the product brand approach to extend its presence in outside markets is a good strategy to start with. But, eventually over the long run the parent brand equity needs to be associated with the local product brand to give it the credibility it requires. Also, having a multiplicity of product brands focused towards different regions or countries leads to an inefficient allocation of resources and marketing investments within the business. This also leads to more complex brand management processes and leads to fragmentation of brand building and consolidation. Having locally focused digital properties (online marketplaces) allows Alibaba to have a stronger cultural impact, but it does lead to the development of a portfolio where each product brand has a sphere of awareness limited to a small geographic area. This is not a portfolio structure that any company with global ambitions would like to manage. Increasing competition in China: Though it still remains one of the biggest e-commerce players in China, enjoying majority market share both in terms of value and number of shipments, China has not remained the same. Just like how Alibaba has expanded and taken a new shape, China has also evolved into a market with a new set of challenges. Alibaba’s biggest competitor in China is Tencent, the technology company that owns the increasingly popular QQ and WeChat instant messaging services. It also owns QZone, one of China’s largest social networking service and Tencent Weibo, a micro-blogging service. Alibaba used to have the WeChat instant messaging service as a feature on its portals, before switching to its own messaging service AliWang. Tencent has slowly started making strides in the online payments market, by enabling payment features in WeChat – through its product “WeChat Pay”. Additionally, it has started showing ambitions of taking Alibaba on in its home territory of e-commerce, by taking a stake in online retailer JD.com. Chinese businesses are also increasingly collaborating to take on Alibaba. In August, 2014, Dalian Wanda Group (China’s biggest commercial land developer), Tencent Holding and Baidu Inc. formed a USD 813 million venture with the aim of seamlessly integrating the physical and the digital worlds these companies dominate. To increase its competitive capabilities in this area, Alibaba has come up with a “New Retail” model where it aims to better integrate e-commerce with brick-and-mortar, thereby enhancing the overall shopping experience. In September 2017, Alibaba announced that it would open “More Mall” in Hangzhou in April 2018, a physical mall that will feature AR and VR capabilities such as fitting rooms and makeup mirrors to provide a seamless online and offline shopping experience. With the above mentioned challenges, it is important for Alibaba to dedicate sufficient resources and management attention to implement strategies and overcome the associated negative perceptions and stiff competition. Today, China is no longer the massive growth juggernaut that it used to be, with GDP growth rates in 2014 almost half of those recorded immediately before 2008. This could well have been the trigger for Alibaba to open its eyes to international expansion, but it will have a significant impact on the company’s business operations, which has been and will continue to be the largest contributor towards revenues and profits. Since its inception 18 years ago and its IPO 3 years ago, Alibaba has taken the world by storm. It will definitely be interesting to see how the company will continue to leverage on its strong growth and aggressively expand overseas in the next decade.